I have lived in Southport NC since April 2015. ​ I lived in Denver for many years. I began my art education there. 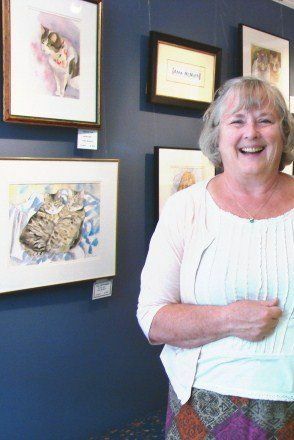 I moved to Rockport Maine in 2000 and opened Winding Way Watercolors Art Gallery in May of 2009 . We moved to a larger space in 2012 and there were four artists showing their work including myself. I am never more at peace than when I am sketching or painting. I love the watercolor medium because of its fluidity and spontaneous "accidental " effects. I work with a very wet technique. I paint for the joy it brings to my life but also love to have one of my paintings bring a smile to the view's face. I studied with Harold A. Wolfinbarger in Denver for over 20 years. He educated at The Arts Student League in New York City and was largely a landscape painter in oils but he introduced me to watercolor and I fell in love. Some of my favorite subjects are cats, lighthouses, children and women in hats. 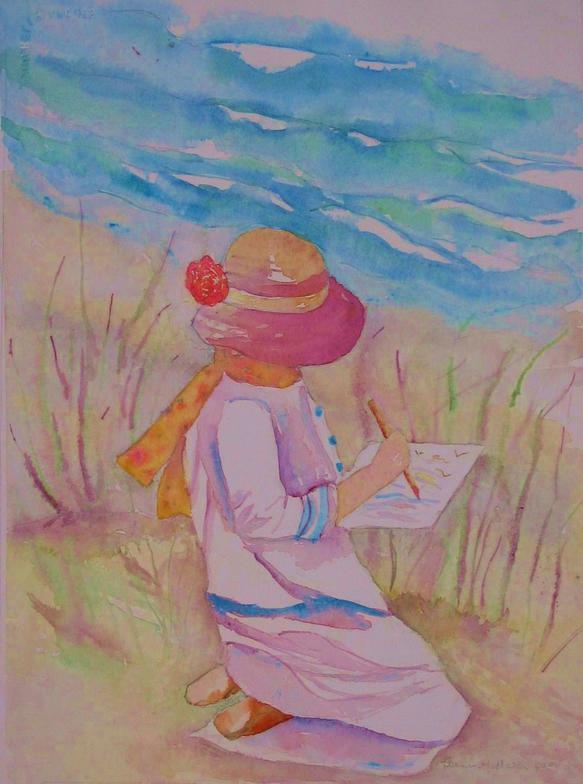 l am enjoying painting marsh grasses, beach scenes and the beauty of coastal North Carolina. I am a member of the Associated Artist of Southport and the Wilmington Art Association. I show some of my work at two places in Southport NC . They are The Franklin Square Gallery and Coastal Bound in The old Village Shops on Howe Street .